Eddison`s Indoor Garden room is an absolutely wonderful space, and this year has helped considerably in keeping us sane over the difficult warmer months. But, of course having XP means that time outside whatever the weather is challenging in hours of daylight and so even at this time of year, it is an ultra special place for Eddison. This room is an unheated space and deliberately so. This allows Eddison to, in his way, experience the temperature differences of the seasons in safety. 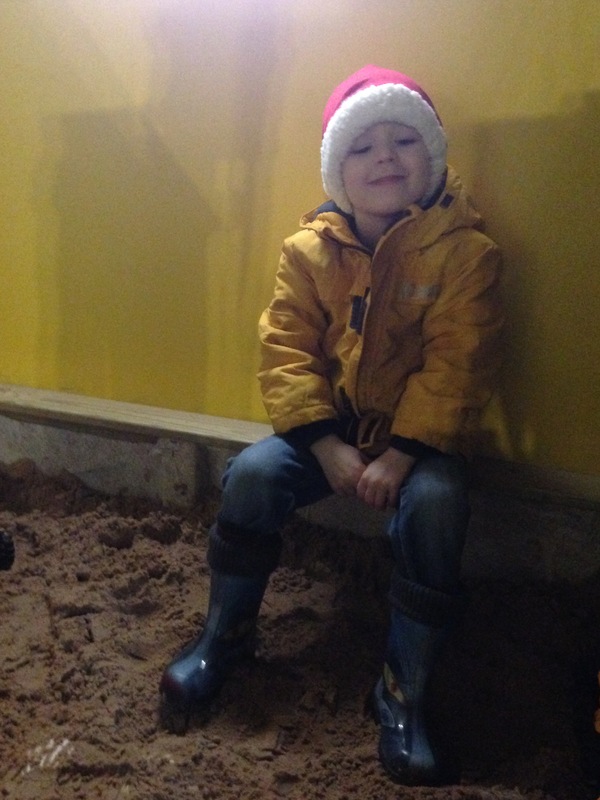 So odd as this may seem….I can`t tell you how lovely it is for me as a Mum so see the boys trotting of outside, or “inside outside” as we call it, in wellies, coats and hats! And the pure joy of watching Eddison rubbing his hands together and saying “brrrr its chilly” while watching his hot breath rise in the cold air as he plays in his indoor garden… some very simple pleasures that would otherwise, without his special garden, be reserved solely for hours of darkness.